Fresh and vibrant red and pink roses for this beautifull bouquet.. It is perfect for birthday, anniversary, to say thank you .. but also great if you just want to give a smile! 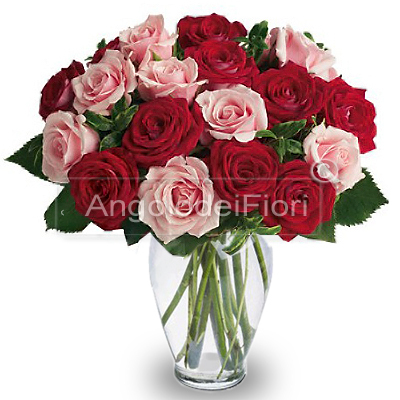 This includes roses bouquet of red and pink mixed color and is finished with the green of the season.